Two more proud local tourism industry businesses have completed their National Service Standards Certification, formalising their commitments to raise the bar on customer service. & Partners, a boutique gift shop, and Rosedon Hotel, a boutique property in Hamilton, are the newest additions to the list of certified businesses, bringing the total number to complete the programme to 18. Editorial coverage in visitor publications. “As a relatively new business & Partners decided to apply for the National Certification as a way of getting feedback on how we could provide the best customer service and products,” said Andrea Sundt of & Partners. 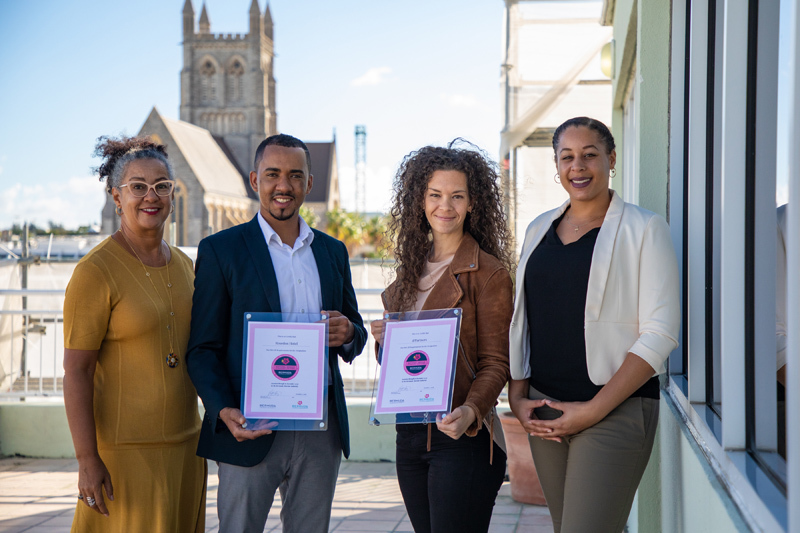 “The National Service Standards Programme is helping Bermuda improve the value proposition for all consumers – whether they’re residents or visitors. High quality customer service helps to differentiate Bermuda from her competitors; the more businesses making the commitment, the better off we are as a tourism destination,” said Bermuda Tourism Authority COO Karla Lacey. People interested in learning more about National Service Standards can attend the Bermuda Tourism Summit on October 24. The National Service Standards Programme will be on-hand at the summit’s Brilliant Bar throughout the day to answer questions.